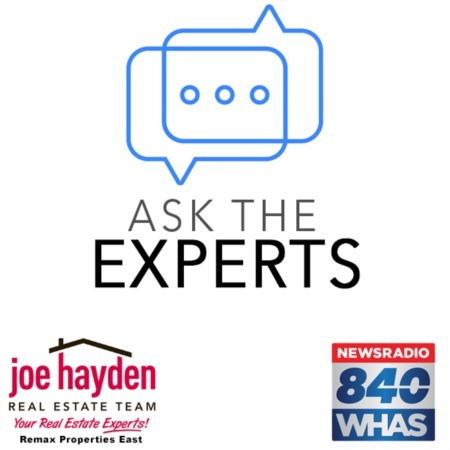 9501 Poplar Hill Drive Crestwood, Kentucky 40014 | Home for Sale | MLS #1375367 | Joe Hayden Real Estate Team - Your Real Estate Experts! What a great neighborhood! This fun home at 9501 Poplar Hill Drive in the convenient Poplar Hill Subdivision benefits from an excellent location and Oldham County Schools! Featuring 3 bedrooms and 2.5 baths, including a roomy first floor master suite, this home welcomes you with a relaxing front porch and an extra-large corner lot. 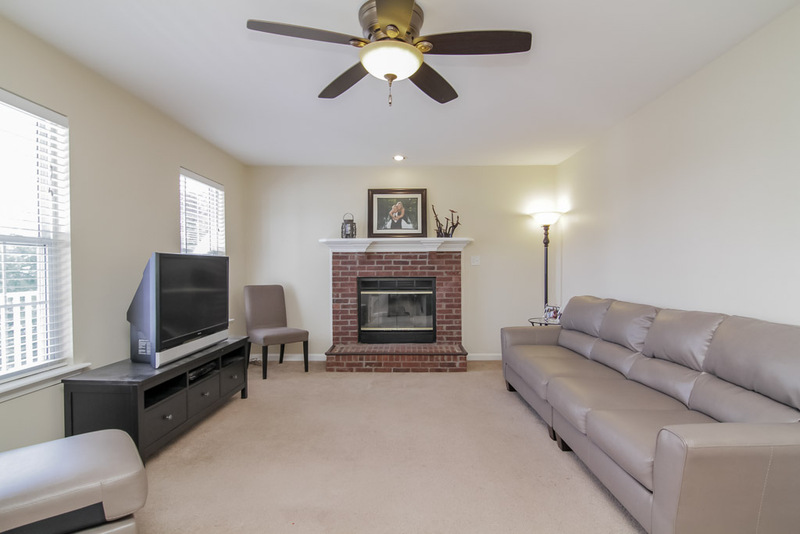 Once inside, the spacious family room flows into the eat-in kitchen with ample natural light. 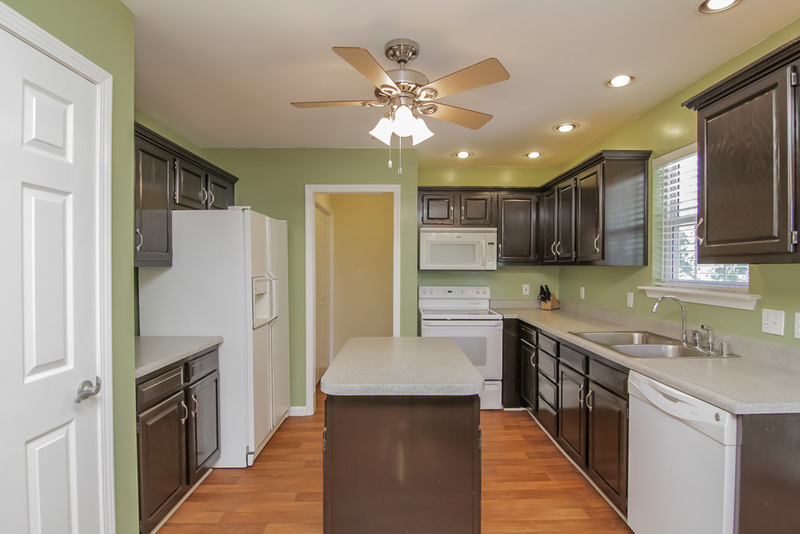 The kitchen benefits from updated flooring, recently stained cabinets and an eco-finished countertop. The kitchen opens onto the peaceful deck with a private view of the rear yard. Upstairs, two roomy additional bedrooms, plus a large bonus room, give the home flexibility to accommodate your varied needs. 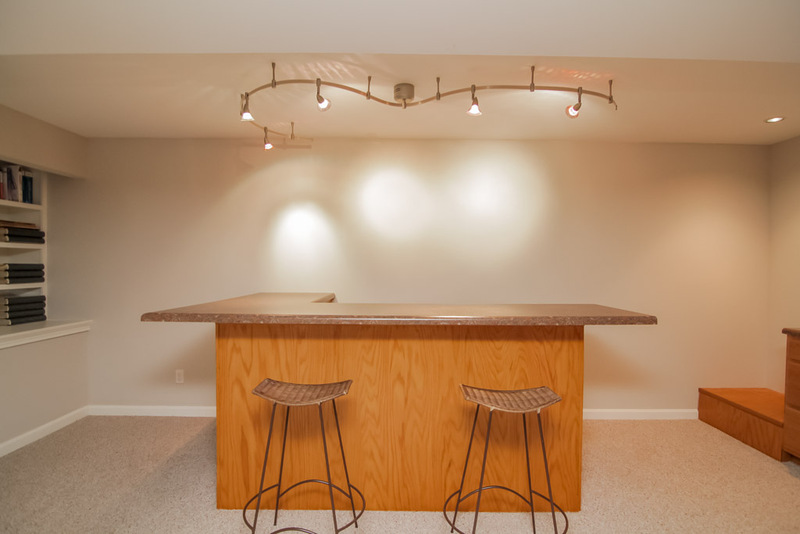 The finished basement makes for a great gathering place for friends and family. The basement features built-ins for an entertainment center, surround-sound speakers, a nice bar, extra cabinet and counter space, plus a bonus room that can easily be made to function as an office or a guest sleeping area. Recent additional updates include a new roof in 2012, a new AC a-coil in 2010, fresh paint on the 1st and 2nd floor, plus other tasteful updates. 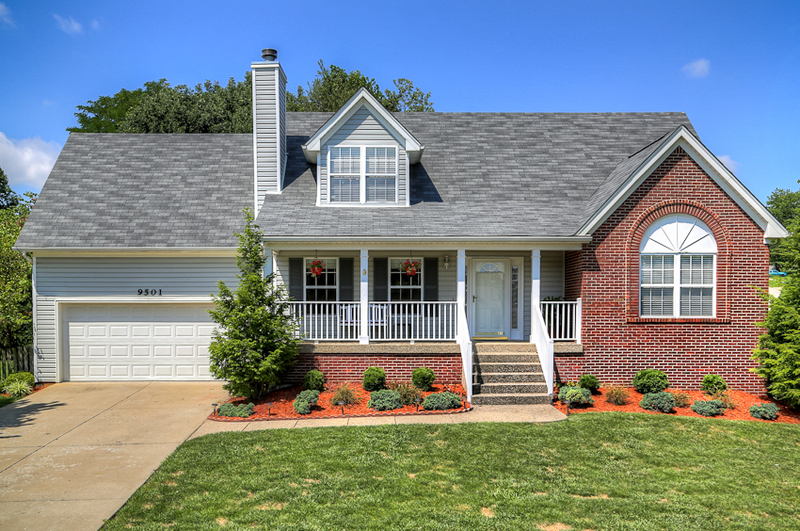 Take the time to see 9501 Poplar Hill Drive just as soon as you can - there are very few newer homes in this price range in Oldham County in such a great location!